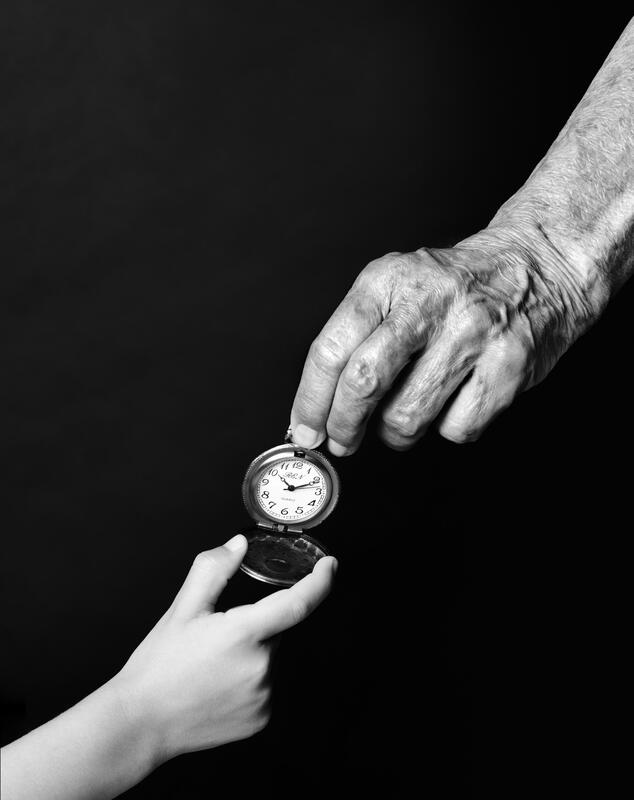 It has been historically posited that we lose our circadian rhythms as we age, and that circadian arrhythmia is one of the underlying causes of ageing. We decided to study whether this was true, and what is the precise connection between circadian rhythms and tissue ageing. In these two papers, we therefore studied in an unprecedented depth how circadian rhythms are affected during aging of different adult stem cells (epidermis and muscle), and metabolic tissues, such as the liver. We show that aged stem cells and aged liver unexpectedly remain perfectly rhythmic, yet their circadian output (that is, all the functions whose timing is regulated by the clock) becomes reprogrammed to cope with age-related tissue-specific stresses. Importantly, in doing so, the clock stops imposing a correct timing of stem cell and tissue function, which further exacerbates aging. Importantly, we find that this reprogramming is significantly prevented by caloric restriction. We believe this is the first comprehensive analysis of how the clock behaves in aged stem cells and tissues. These studies importantly indicate that circadian reprogramming, rather than circadian arrhythmia, underlies the process of tissue ageing, and highlight the importance of how systemic metabolic cues derived from our diet impinge in tissue and organismal ageing. - Solanas G, Peixoto FO, Perdiguero E, Jardí M, Ruiz-Bonilla V, Datta D, Symeonidi A, Castellanos A, Welz PS, Caballero JM, Sassone-Corsi P, Muñoz-Cánoves P, Benitah SA 2017, 'Aged Stem Cells Reprogram Their Daily Rhythmic Functions to Adapt to Stress', Cell 170(4):678-692. Metastasis is the leading cause of cancer-related deaths, yet the identity of the cells responsible for metastatic spreading has remained historically elusive. In this work, we identified metastasis-initiating cells (MICs) in several types of human tumors. We show that MICs: (i) are exclusive in their ability to generate metastases when transplanted; (ii) intriguingly, they express the fatty acid channel CD36 and have a prominent lipid metabolic signature; (iii) are exquisitely sensitive to the levels of fat in circulation, thus providing a link between the predisposition of metastasis and dietary fat; (iv) are highly sensitive to CD36 inhibition, which almost completely abolishes their metastatic potential; and (v) operate in many different types of human tumors. This work is allowing us to characterize metastatic cells in an unprecedented manner, and helping us develop therapies targeting lipid metabolism with specific anti-metastatic potential. - Pascual G, Avgustinova A, Mejetta S, Martín M, Castellanos A, Attolini CS, Berenguer A, Prats N, Toll A, Hueto JA, Bescós C, Di Croce L & Benitah SA 2017, 'Targeting metastasis-initiating cells through the fatty acid receptor CD36', Nature 541(7635):41-45. Rational drug discovery aims to discover and optimize molecules that bind to, and modulate the behaviour of, therapeutic targets in the most effective and efficient manner. Existing methods aim to predict the binding affinity of a given molecule for its target, but this property is notoriously difficult to compute and lack of correlation between computed and experimental values is more the norm than the exception. In this work we propose an alternative view of protein-ligand complexes, enabling us to develop a method for the identification of drug candidates that is conceptually new and computationally efficient. Starting from the observation that protein-ligand complexes are structurally stable, we hypothesise that this property (i.e. the ability to maintain a well-defined binding mode) can be primarily attributed to certain key hydrogen bonds. To probe this idea, we devised Dynamic Undocking (DUck), a fast computational procedure that quantifies the work necessary to break those particular interactions (WQB). The results demonstrate that active molecules form interactions that are hard to break, while this is not the case for the majority of inactive molecules. In consequence, DUck is a very effective method for virtual ligand screening. More importantly, this work opens a different perspective on protein-ligand complexes. Besides looking at the situation of equilibrium – where two molecules make the best possible interactions – we must also consider which are the breaking points, how the complex will come apart and how we can improve the drug by making it more resistant to structural distortions. In fact, we demonstrate that Dynamic Undocking is orthogonal with existing (thermodynamic) approaches, and optimal results are obtained when both types of methods are combined. Prospective validation of the method has led to the discovery of novel bioactive molecules for which the binding mode has been confirmed experimentally. The method is freely available for the wider scientific community and we are applying it to various internal and collaborative projects. Conceptual representation of the initial dissociation of two molecules from the same binding site. The one at the left-hand side is structurally stable and a lot of work is needed to break the native contacts. This is a signature of true ligands and the molecule was confirmed to be active. The right-hand side molecule forms good interactions and is predicted as active by existing methods, but its interaction is not difficult to break, indicating that it is in fact a false positive. Application of this concept to virtual ligand discovery can remove up to 80% of the molecules that are predicted as active by state-of-the-art computational methods. 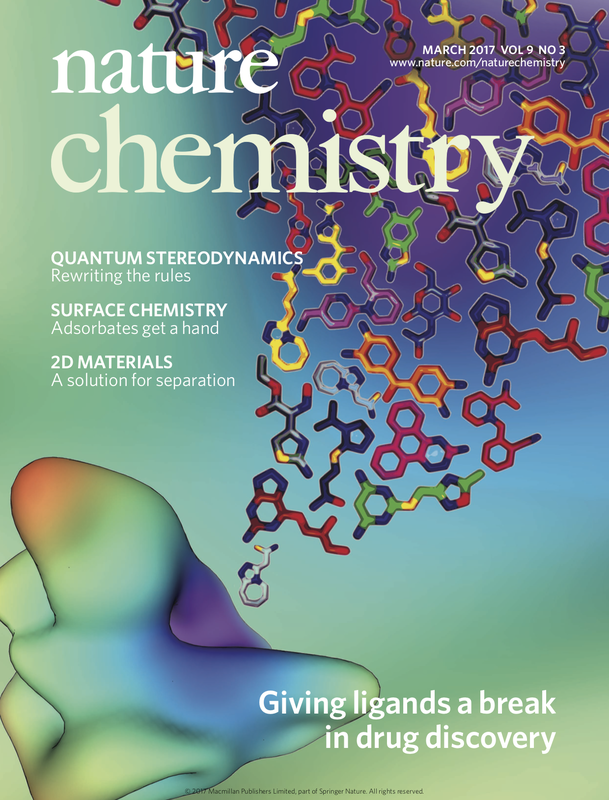 Ruiz-Carmona S, Schmidtke P, Luque FJ, Baker L, Matassova N, Davis B, Roughley S, Murray J, Hubbard R & Barril X 2017, 'Dynamic undocking and the quasi-bound state as tools for drug discovery', Nature Chemistry, 9, 201–206. In spite of large efforts and generous investments, mortality statistics and cause of death estimates from poor countries remain, as of today, still unreliable. In these settings, where the majority of preventable deaths still occur, models utilized to build estimates have shown many flaws, and discrepancies in cause-attributable disease figures have evidenced the shortfall of current methods, predominantly based on data derived from verbal autopsy or clinical records. With efforts targeting the improvement of civil and vital registration systems, counting the dead has become progressively easier, but establishing the cause of death for each person remains a major challenge, particularly among children. Routine and cause-specific disaggregated mortality data are however critical at the local level to help policy makers make rational health planning and prioritisation decisions. Pathological autopsies are generally considered the gold standard methodology to investigate cause of death, but their practice is globally decreasing, and in the majority of poor settings their routine use and acceptability is severely limited. In the last years, we have developed and validated a less invasive, but similarly informative methodology that, using fine needle biopsies, can sample key tissues and organs after death, thus providing rich pathological and microbiological samples to investigate the cause of death. 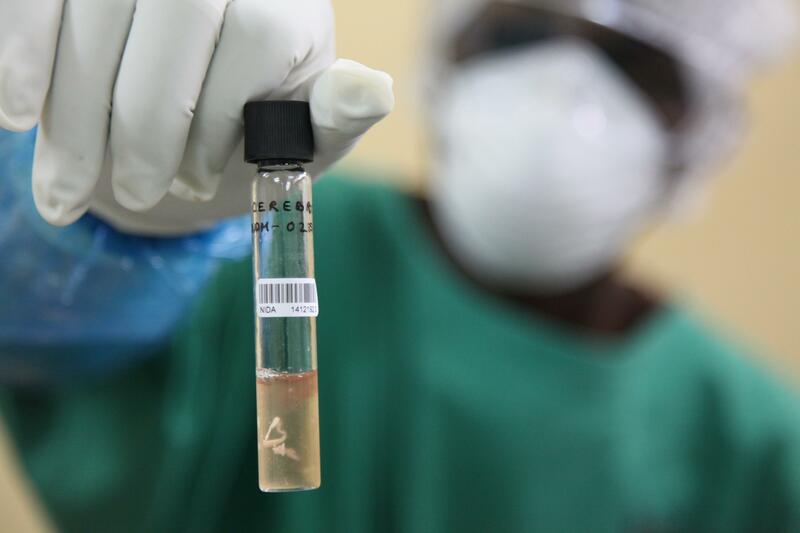 We have also demonstrated that such a method is readily acceptable at the community level, even in rural African settings, and that it can be utilized “in the field” to conduct robust mortality surveillance. The Minimally invasive autopsy will surely contribute, as no other method has made until now, to increase our understanding of the major determinants of preventable mortality, and the enormous inequities that surround survival in resource-constrained settings. Bassat Q, Castillo P, Martínez MJ, Jordao D, Lovane L, Hurtado JC, Nhampossa T, Santos Ritchie P, Bandeira S, Sambo C, Chicamba V, Ismail MR, Carrilho C, Lorenzoni C, Fernandes F, Cisteró P, Mayor A, Cossa A, Mandomando I, Navarro M, Casas I, Vila J, Munguambe K, Maixenchs M, Sanz A, Quintó L, Macete E, Alonso P, Menéndez C & Ordi J 2017, 'Validity of a minimally invasive autopsy tool for cause of death determination in pediatric deaths in Mozambique: An observational study', PLoS Med. 14(6):e1002317. The intestinal epithelium is the tissue with the highest cell turnover rate. 100’s of millions of cells are generated everyday in the intestine yet all these cells die in less than a week. This tremendous regenerative power is sustained by a population of intestinal stem cells (ISCs). It was believed that ISCs represent an homogeneous population of rapidly dividing cells. In this work we reveal that ISCs adopt two discrete states, one of then defined by the expression of the RNA binding protein Mex3a and characterized by a slow proliferation mode. These slow cycling ISCs contribute to all intestinal lineages with a delayed kinetics. During homeostasis, Mex3a+ cells continually shift into the rapidly dividing, self-renewing ISC pool. Chemotherapy and radiation preferentially target rapidly dividing ISCs but spare the Mex3a+ cell population, which regenerates the intestinal epithelium following this toxic insult. Thus, Mex3a marks a reserve-like stem cell population within the intestinal epithelium. 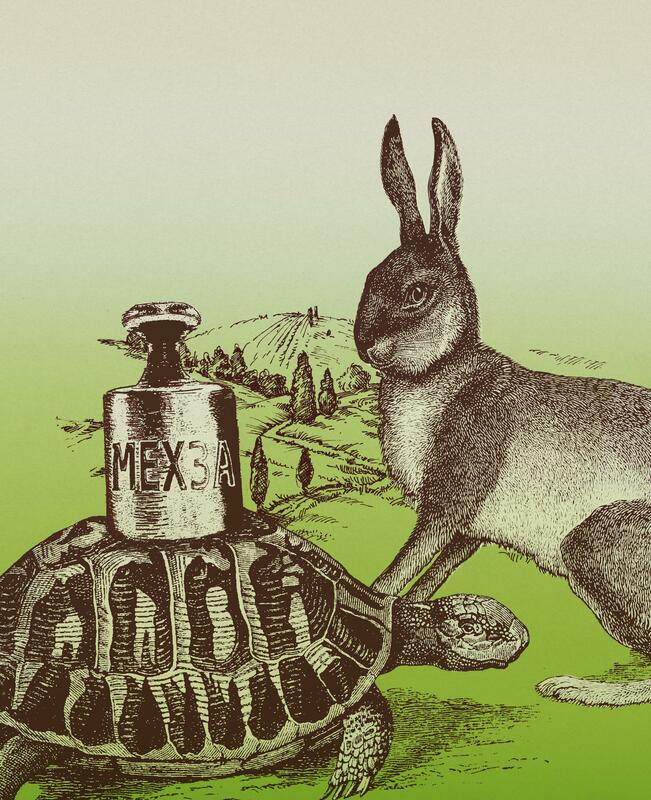 The hare and the tortoise; a representation of slow and rapidly proliferating intestinal stem cells. 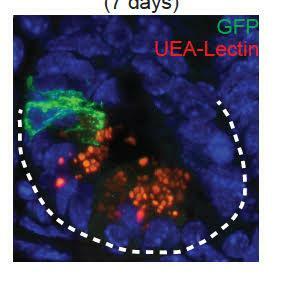 Progeny of Mex3a+ cells (GFP-green) in +4 position of the intestinal crypt in lineage tracing experiments (7 days). Paneth Cells are labeled in red. Freshwater ecosystems have particularly high biodiversity and provide ecosystem services essential to human well-being. 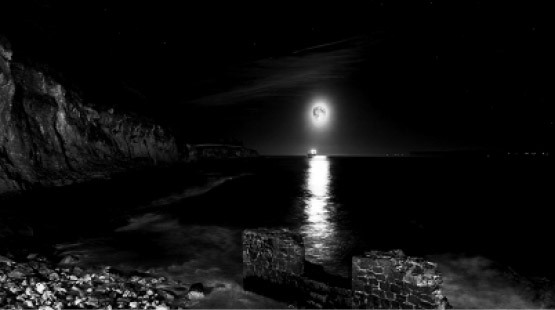 However, the biodiversity of these habitats is declining at an alarming and unprecedented rate due to human activities. One of the major consequences of biodiversity decline is the loss of ecological functions and ecosystem services. For this reason, major efforts are invested at quantifying the relationship between biodiversity and ecosystem functions. Nevertheless, the estimation of biodiversity is often complex and time-consuming. An alternative to the taxonomical approach to assessing biodiversity and ecosystem processes is to study the body size structure (i.e. relationship between organisms’ body size and their density) of the community. Body size is a fundamental attribute of organisms because many physiological rates are size-dependent. Body size also determines ecological structures and processes such as population abundance, predator–prey interactions and the resilience of the food webs. The research on size structure of aquatic communities at ICREA has recently been quite productive. Based on a large database of fish communities in European lakes, we have shown that competition and predation are key drivers of the size structure. We also provided evidence that higher size diversity of prey may drive a higher size diversity of predators, or vice versa. Size structure of aquatic communities also respond systematically to environmental disturbance, such as changes in land use in subtropical streams or shifts in temperature and resource availability in Mediterranean lakes. Thus, metrics based on size structure could be used as comprehensive indicators of ecosystem health, together with traditional taxonomic approaches. Finally, by performing an experiment in lake Mývatn (Iceland), we demonstrated that changes in size structure across the aquatic food web are related to shifts in the efficiency of energy transfer. Thus, our studies underpin the importance of taking into account organisms’ size when assessing ecosystem processes and human impacts. Conceptual model showing the relationship between the size diversity of the functional groups in the food web. Grey arrows indicate significant relationships according to our results, white arrows indicate non-significant relationships. 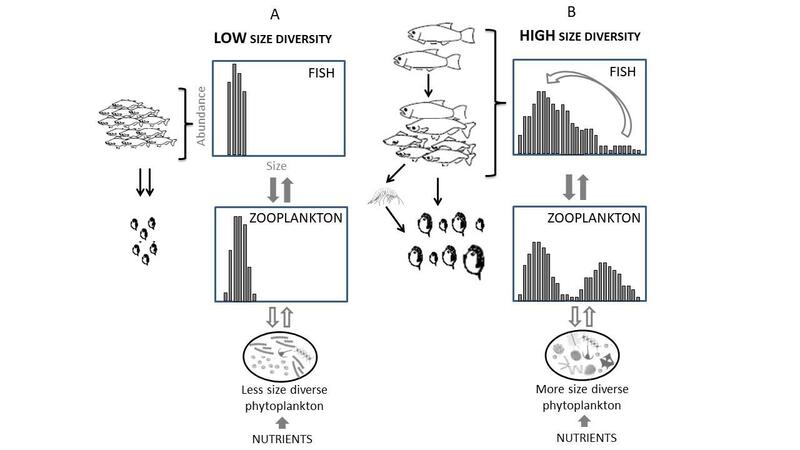 Panel A: Low size diversity of fish and low size diversity of zooplankton. Panel B: High size diversity of fish and zooplankton (broader size distribution and larger sizes). Phytoplankton is driven by resource availability (i.e. nutrients). Brucet S, Tavşanoğlu ÜN, Özen A, Levi EE, Bezirci G, Çakıroğlu Aİ, Jeppesen E, Svenning J-C, Ersoy Z & Beklioğlu M 2017, 'Size-based interactions across trophic levels in food webs of shallow Mediterranean lakes', Freshwater Biology, 62, 1819–1830. Ersoy Z, Jeppesen E, Sgarzi S, Arranz I, Cañedo-Arguelles M, Quintana XD, Landkildehus F, Lauridsen TL, Bartrons M & Brucet S 2017, 'Size-based interactions and trophic transfer efficiency are modified by fish predation and cyanobacteria blooms in Lake Mývatn, Iceland', Freshwater Biology, 62, pp 1942–1952. Benejam L, Teixeira-de Mello F, Meerhoff M, Loureiro M, Jeppesen E & Brucet S 2016, 'Assessing effects of change in land use on size-related variables of fish in subtropical streams', Canadian Journal of Fisheries and Aquatic Sciences. 73, 4, 547 - 556. Mehner T, Keeling C, Emmrich M, Holmgren K, Argillier C, Volta P, Winfield I & Brucet S 2016, 'Effects of fish predation on density and size spectra of prey fish communities in lakes', Canadian Journal of Fisheries and Aquatic Sciences. 73, 4, 506 - 518.